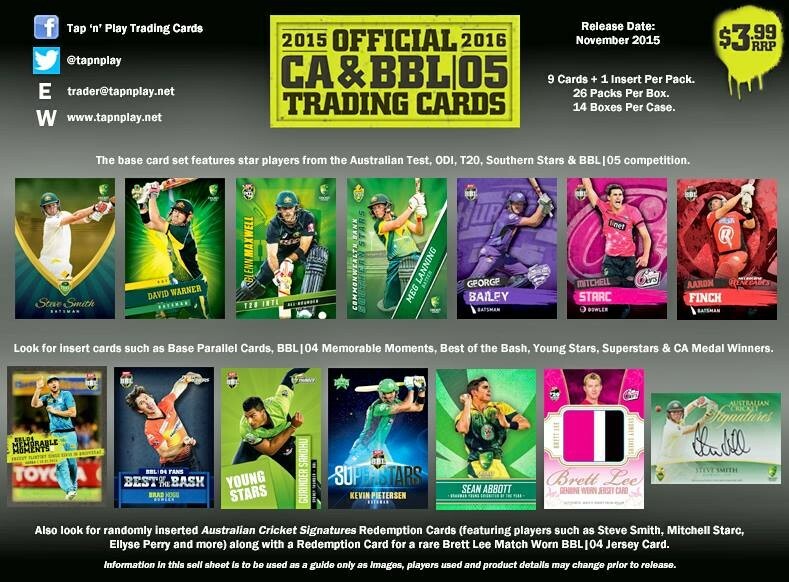 TCAC is proud to bring to our Gimko community a case break of the all new 2015/16 Tap 'N' Play CA & BBL Cricket. BIG THANK YOU TO TAP 'N' PLAY WHO WILL SUPPLY THE CASE EARLY FOR THIS BREAK TO GO AHEAD ON TUESDAY 27TH OCTOBER 2015, A WEEK BEFORE THE OFFICAL RELEASE DATE TO THE PUBLIC!! This case break will only have 14 SPOTS, one for each box which will be randomly assigned to you via random.org. Each spot will get you all the HITS (parallels, inserts, signature redemptions etc) from your box. Each spot will get you a FULL BASE SET (180 cards). Supplies (toploaders for major hits). Regular shipping covered in spot price. Each box contains 26 packs, 9 base cards + 1 insert card per pack. 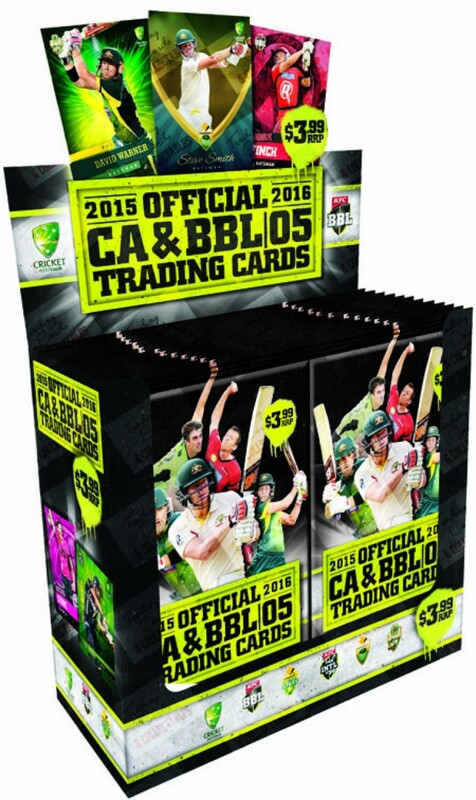 180 card base set features players from the Australian Test, ODI, T20 and Southern Stars Teams as well as the BBL team. 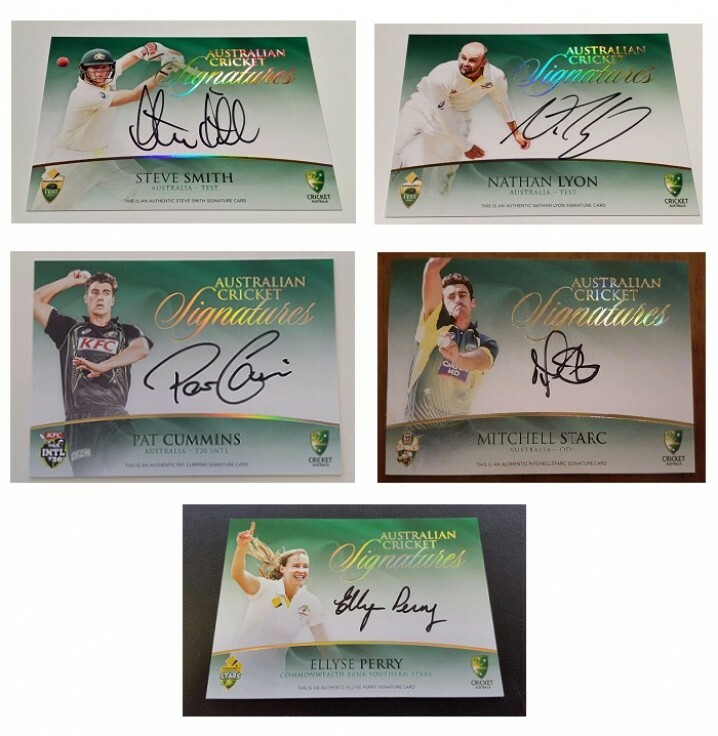 Australian Cricket Signatures Redemption (6 cards – 1:182 Packs) – limited to 175 cards per player. Steve Smith, Nathan Lyon, Mitchell Starc, Pat Cummins, James Faulkner and Ellyse Perry in this very special Signature Card set. Break will be done LIVE on gimko.com.au. We may decide to close the break earlier if not sold out and bust anway. In that event the users who have purchased spots will be notified. An early email notification with the break date and time will be sent out to everyone who is participating to ensure you get a chance to see the break live. If you cannot watch the break live then a recap will be uploaded to Gimko's offical youtube channel. Shipping for domestic customers is factored into the break price; for international sales, please message the seller before purchasing a spot to find out the shipping charges. Please note: Credit card payment services offered by the seller may be processed online or offline. Please confirm with the seller if you wish to pay with a credit card on how they take credit card payments.